Yes, you read that right. 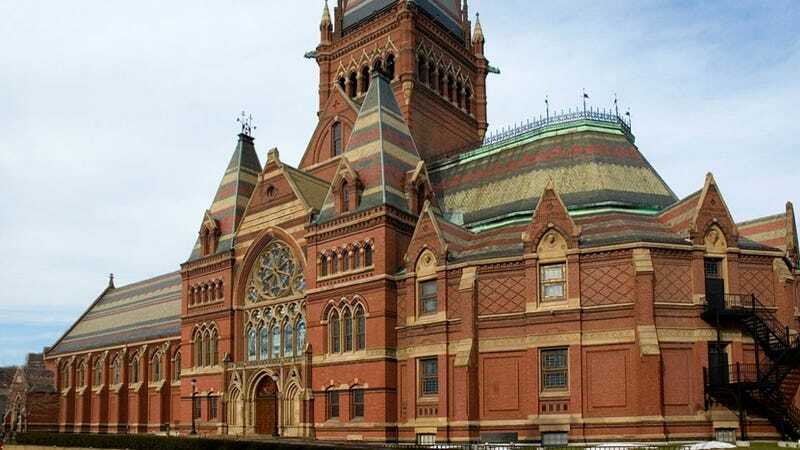 According to a memorandum issued last week by Harvard Library's Faculty Advisory Council, the cost of its peer-reviewed journal subscriptions has become prohibitively expensive. What does it say about the world of academic publishing, the accessibility of knowledge, and the flow of information when the richest academic institution on the planet cannot afford to continue paying for its peer-reviewed journal subscriptions? Harvard's annual cost for journals from these providers now approaches $3.75M. In 2010, the comparable amount accounted for more than 20% of all periodical subscription costs and just under 10% of all collection costs for everything the Library acquires. Some journals cost as much as $40,000 per year, others in the tens of thousands. Prices for online content from two providers have increased by about 145% over the past six years, which far exceeds not only the consumer price index, but also the higher education and the library price indices. These journals therefore claim an ever-increasing share of our overall collection budget. Even though scholarly output continues to grow and publishing can be expensive, profit margins of 35% and more suggest that the prices we must pay do not solely result from an increasing supply of new articles. The memorandum (which you can read in its entirety here) goes on to recommend a number of ways for Harvard faculty and graduate students to combat the exorbitant access fees of academic journals. Suggestions include submitting articles to open-access journals, "or to ones that have reasonable, sustainable subscription costs," in the interest of "[moving] prestige to open access"; and to consider resigning from the editorial review boards of non-open access publications. The impact that this memorandum will have on the world of academic publishing remains to be seen, but the call for a re-evaluation of scholarly journal access from an institution as respected and influential as Harvard represents a landmark achievement in the Open-Science Revolution. Harvard has a lot of weight to throw around; if its faculty and students are willing to get onboard with this, it could mark a watershed in the push to "move prestige to open access."